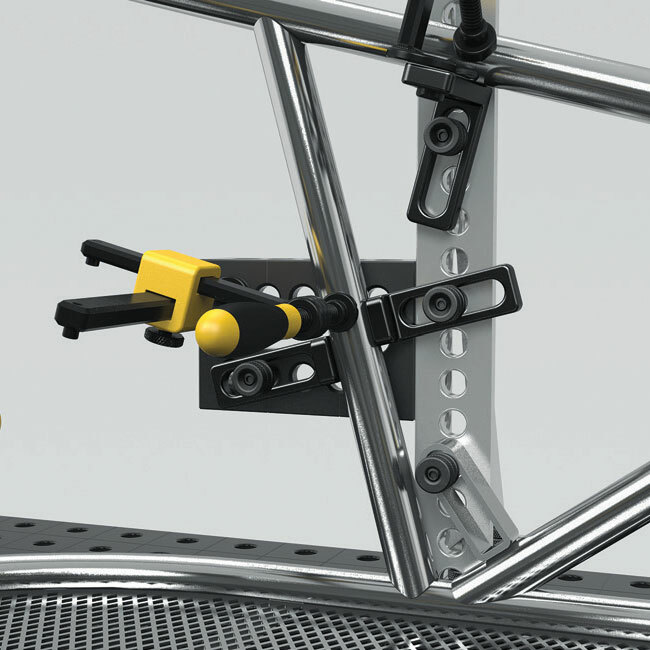 The corner square is used to mount clamping squares or U-shapes at table corners to extend the work surface. 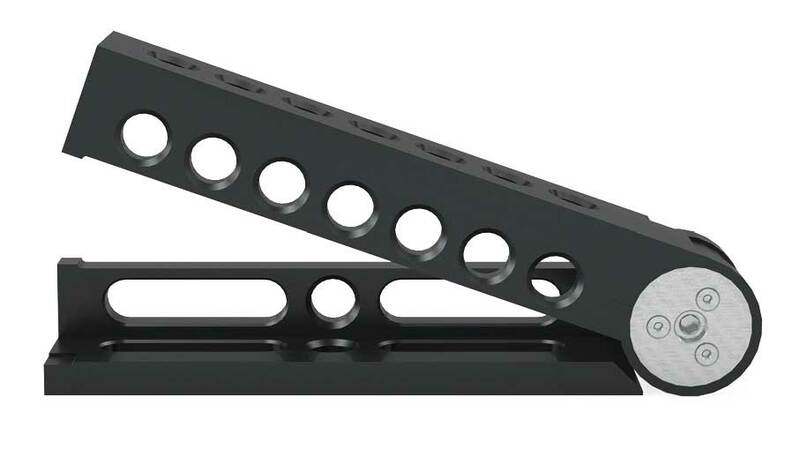 Load-Bearing Adjustable Angle Protractor is weight bearing due to a hydro mechanical mechanism and has a built in angle guide. 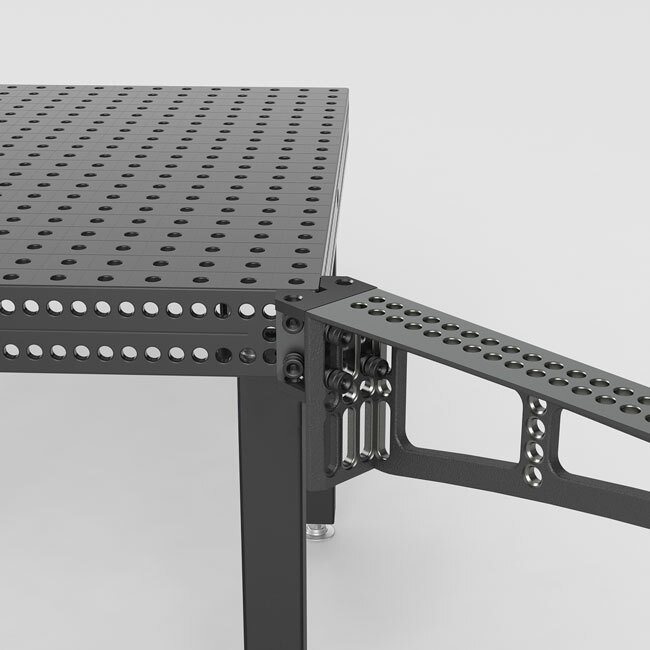 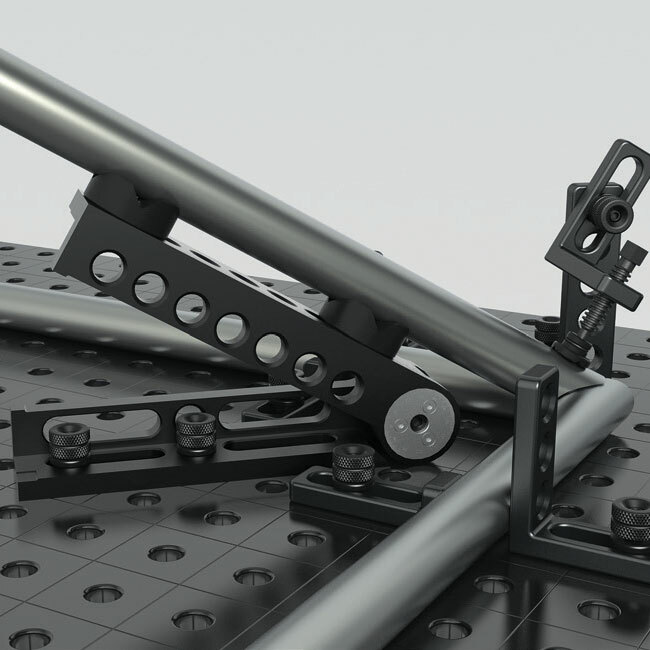 The support and clamping frame serves as a connection for different elements. 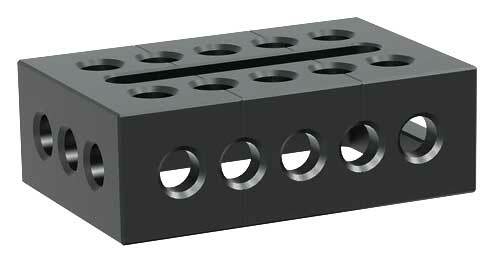 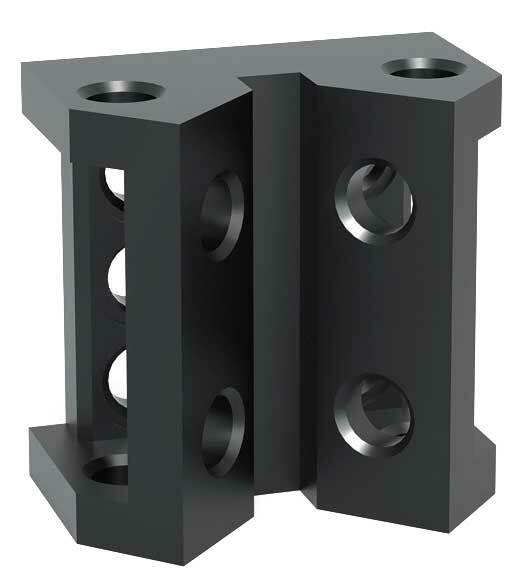 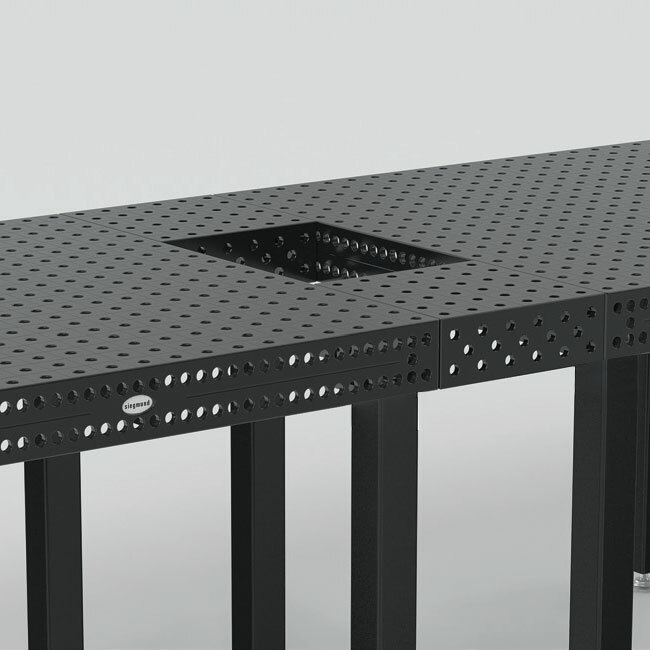 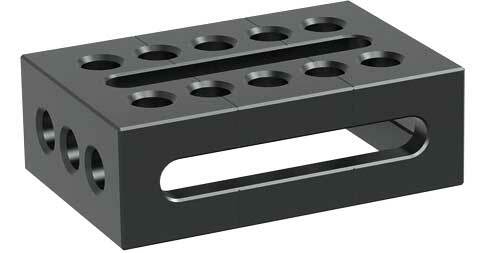 Bore holes with slots provide numerous fixture possibilities. 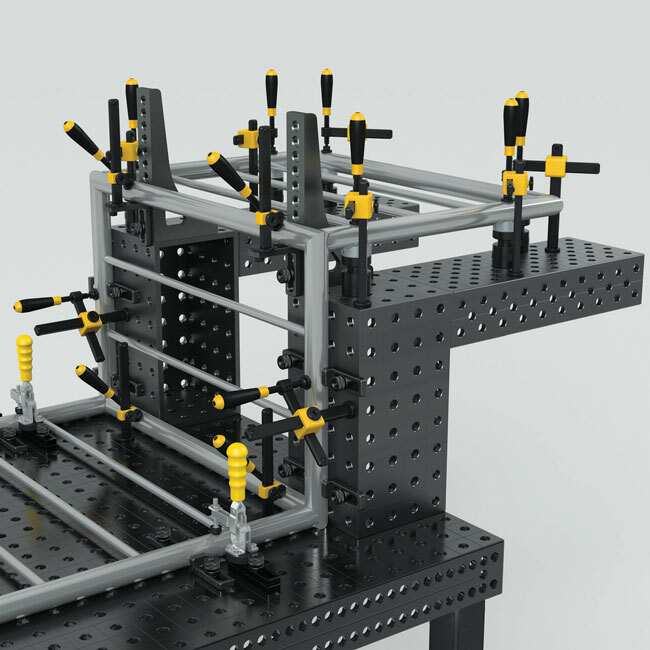 Clamping blocks can be used to join two tables together or as vertical extensions. 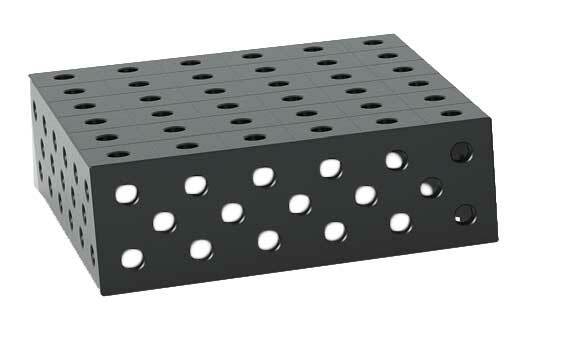 Clamping blocks should be joined with Connecting Bolts (S2-160560).